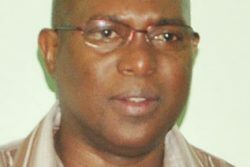 Nigel Simpson and Shawn De Souza highlighted the latest round of the Noble House Seafoods second-division, two – day competition yesterday by cracking centuries for Diplomats and GNIC respectively. 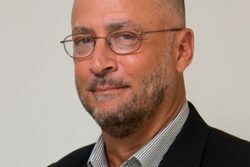 President of Cricket West Indies (CWI), Ricky Skerritt has stated that CARICOM will have a larger role to play in the affairs of cricket in the region. 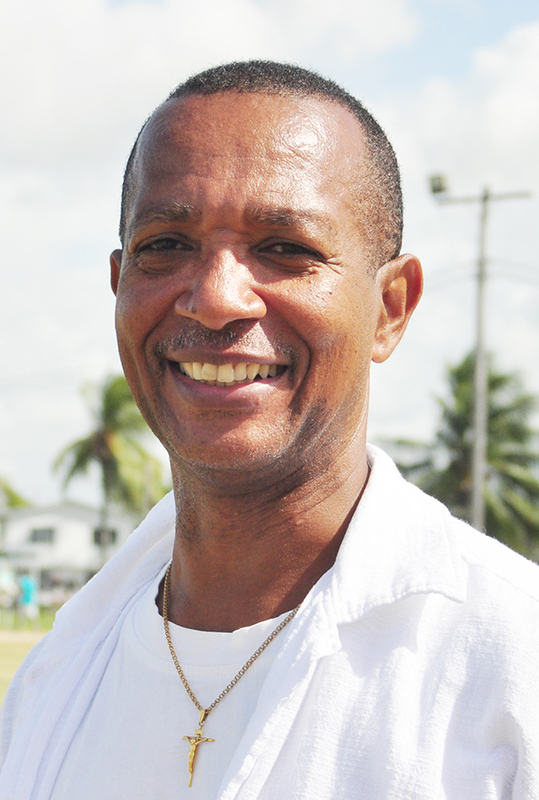 Head Coach of the Guyana Under-15 team Julian Moore is confident in his team’s chances of regaining the Cricket West Indies Regional U15 title as the tournament bowls off from today in Antigua. 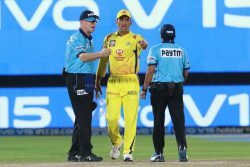 (Reuters) – Mahendra Singh Dhoni’s uncharacteristic outburst against a controversial umpiring decision led to the Chennai Super Kings captain being fined 50 percent of his match fee in Thursday night’s Indian Premier League (IPL) match in Jaipur. 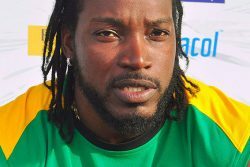 ST JOHN’S, Antigua, CMC – Left-hander Jonathan Carter has been recalled following a two-year absence while speedster Shannon Gabriel also returns after a 16-month break, in a weakened West Indies 14-man squad for next month’s Tri-Nations Series against hosts Ireland and Bangladesh. 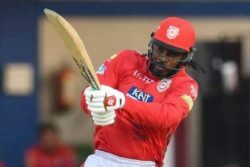 KOLKATA, India, CMC – West Indies star Andre Russell kept up his impressive form with the bat but it was not enough to save Kolkata Knight Riders from defeat, as they went down by seven wickets to Delhi Capitals here yesterday. 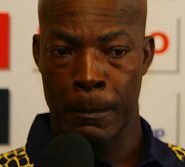 BRIDGETOWN, Barbados, CMC – The Ricky Skerritt-led Cricket West Indies administration is facing its first legal battle over their decision to axe Vasbert Drakes from the coaching staff of the men’s senior side. 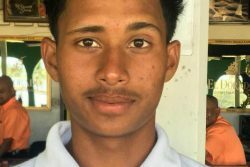 West Indies under-16 batsman, Mavindra Dindyal has staked his claim for a spot in the Guyana U17 team after finishing as the leading run getter in the recently concluded Guyana Cricket Board U17 Inter-County tournament. 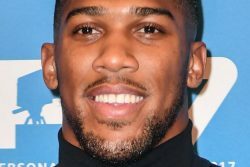 (Reuters) Newcastle United recovered from two consecutive defeats to beat Leicester City 1-0 with an Ayoze Perez header yesterday and moved 10 points clear of the Premier League relegation zone. LOS ANGELES, (Reuters) – The Los Angeles Lakers and head coach Luke Walton have agreed to part ways after the team posted a disappointing 37-45 record and failed to end a playoff drought stretching back to 2013. Cricket action in Georgetown continues today with the scheduling of seven matches across the City. 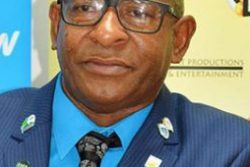 The Guyana Volleyball Federation (GVF) is set to spike off a National Female Volleyball Festival from today at the National Gymnasium, starting from 09:30hrs. (Reuters) – Mahendra Singh Dhoni’s uncharacteristic outburst against a controversial umpiring decision led to the Chennai Super Kings captain being fined 50 percent of his match fee in last night’s Indian Premier League (IPL) match in Jaipur. 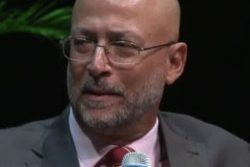 Less than a month after being elected to the helm of Cricket West Indies (CWI), President Ricky Skerritt described the landscape in Guyana as it relates to regional cricket as “troubling.” Skerritt was speaking at what was described as the first of the new standard for media relations when CWI hosted a news conference that was streamed live from their headquarters in Antigua yesterday. 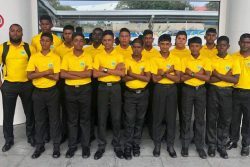 The Guyana Under 15 cricket team departed yesterday morning for Antigua where they will be participating in the Cricket West Indies (CWI) Regional Tournament set to get underway from tomorrow. 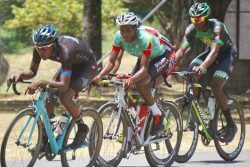 The exciting cycling season continues this weekend with back-to-back events. First up tomorrow, the National Park’s circuit will be transformed into a speedway with the hosting of the 15th edition of the Universal Auto Sales 11-race programme. 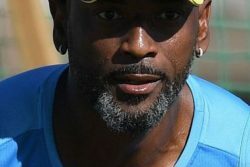 ST JOHN’S, Antigua, CMC – Cricket West Indies has started to chart a new course for the coaching and selection of the West Indies team with the appointments of Floyd Reifer and Robert Haynes to interim positions of head coach and chairman of its selection panel respectively, new president Ricky Skerritt said yesterday. 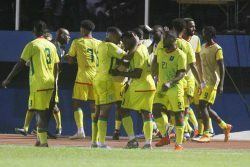 Former Golden Jaguars head coach Wayne Dover is quietly optimistic of the team’s chances of progressing from the group stage in the 2019 CONCACAF Gold Cup. 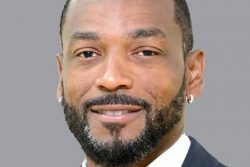 Cricket West Indies (CWI) President Ricky Skerritt yesterday revealed that the entire selection panel, including its Chairman Courtney Browne, have been sacked. 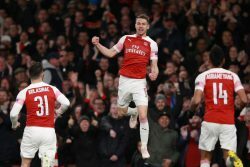 LONDON, (Reuters) – An Aaron Ramsey strike and a Kalidou Koulibaly own goal gave Arsenal a 2-0 victory over Napoli in the first leg of their Europa League quarter-final yesterday – and a rare and valuable clean sheet to take to Italy in a week’s time. 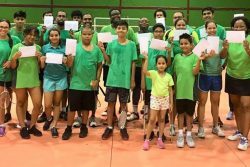 The Guyana Badminton Association (GBA)/E-Networks B-Division Easter Badminton Tournament will begin today at the National Gymnasium from 17:30-22:30hrs. 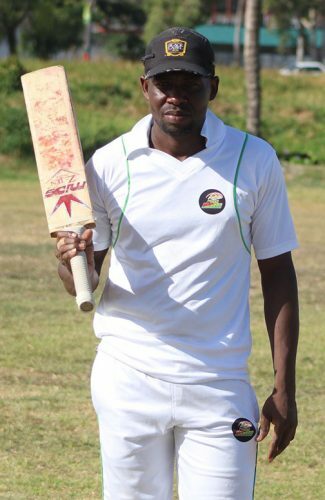 Distribution Warehouse defeated Sales by six wickets when the Banks DIH Limited Inter-Department/Branch Tapeball Cricket Championship continued on Tuesday at Thirst Park. 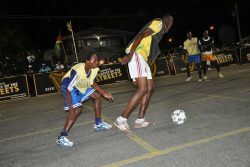 The Haslington Market Tarmac will come alive tonight when the Guinness ‘Greatest of the Streets’ East Coast Demerara edition, commences with eight exciting elimination matches from 19:00hrs. 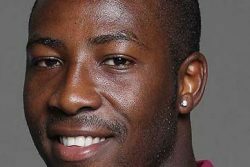 MUMBAI, (Reuters) – Kieron Pollard last turned out for West Indies in a one-day international in 2016 but the burly all-rounder has not given up hope of making the squad for this year’s World Cup. 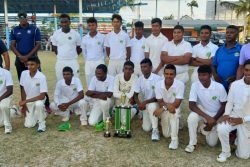 Demerara retained the Guyana Cricket Board Inter-County under-17 tournament after marching to their third consecutive victory by defeating the Select Under-15 by two runs at the Everest Cricket Club ground, yesterday. 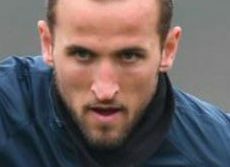 MANCHESTER, England, (Reuters) – Barcelona overcame a punchless Manchester United to take the upper hand in their Champions League quarter-final after Luke Shaw’s own goal gave them a 1-0 first-leg victory at Old Trafford yesterday. 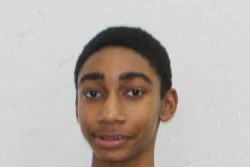 For fans and followers of national youth squash player Shomari Wiltshire, the genius tag to describe his sprawling efforts on the squash court will amount to little or no debate. 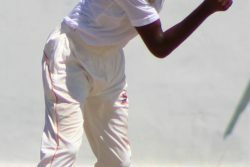 Essequibo, yesterday were routed for 41 runs in the final round of the Rubis Bel Air Under-17 Inter County tournament at the Georgetown Cricket Club (GCC) in a 136-run loss to Berbice to bring the curtains down on the tournament. 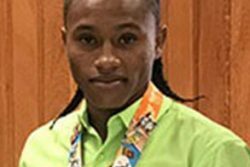 Keevin Allicock will be representing Guyana at the 2019 Pan Am Games in Lima, Peru. The Golden Jaguars were drawn in Group-D of the 2019 CONCACAf Gold Cup following the official draw yesterday in Los Angeles. 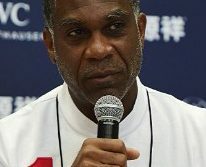 PORT OF SPAIN, Trinidad, CMC – Fast bowling legend Michael Holding has warned the new Cricket West Indies leadership against axing interim head coach Richard Pybus ahead of next month’s ICC World Cup without first consulting the players. 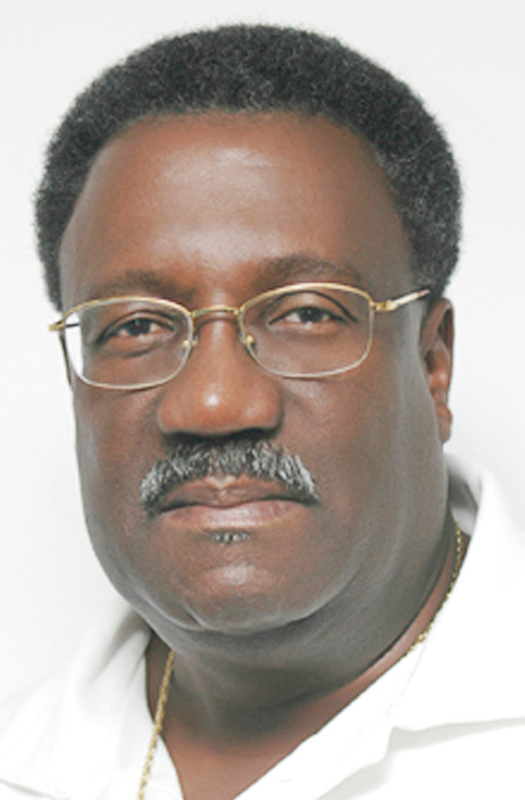 BRIDGETOWN, Barbados, CMC – Legendary former captain, Clive Lloyd, wants to see West Indies players making a stronger commitment to the Caribbean side and has also urged the new Cricket West Indies leadership focus on improved treatment of players. Magic Johnson announced his resignation as Los Angeles Lakers president of basketball operations Tuesday night at an impromptu news conference before the team’s regular-season finale. Ever since capturing the WBA Gold belt in February, Lennox ‘Too Sharp’ Allen (22-0-1, 14 KOs) has not been resting on his laurels. 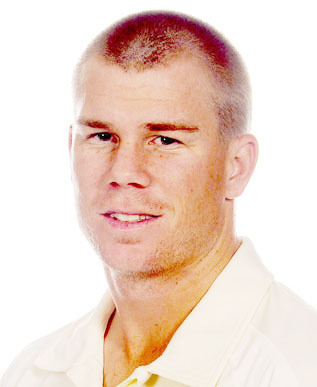 SYDNEY, (Reuters) – David Warner will be driven to prove his worth to Australia when he returns to the side but will need to check his ego at the door as he is no longer an indispensable part of the team, former South African captain Graeme Smith has said. 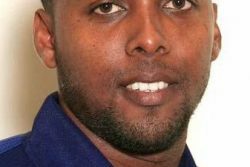 Back Circle, Young Ballers, Hustlers and Stabroek Ballers secured victories on Tuesday in the Stag Beer Futsal Championship at the National Gymnasium, Mandela Avenue. 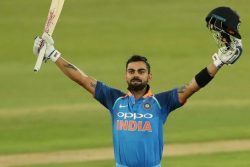 (Reuters) – India captain Virat Kohli was named the ‘Leading Cricketer in the World’ for the third time in a row in this year’s edition of the Wisden Cricketers’ Almanack, the publication said yesterday. 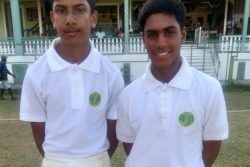 The fourth annual Royal Tapeball Cricket Academy Inter-Secondary School Championships will commence on Saturday at the Durban Park Tarmac from 8:45hrs. 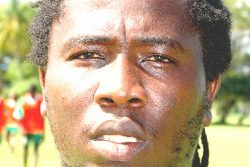 Fruta Conquerors ended their CONCACAF Caribbean Club Shield on a disappointing note, losing 4-0 to Santiago de Cuba on Tuesday at the Dr.
A four-wicket haul from Mathew Nandu followed up by a half century from Brandon Jaikaran ensured Demerara their second consecutive win as they defeated Essequibo by three wickets in the Guyana Cricket Board Under-17 Inter-County tournament at Georgetown Cricket Club ground yesterday. 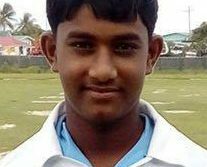 All-rounder Jonathan Rampersaud yesterday displayed his usefulness with both bat and ball to lead Berbice past the national Select U15 side by 149 runs in second round action of the Rubis Bel Air Under-17 Inter County tournament at the Everest Cricket Club (ECC) ground.